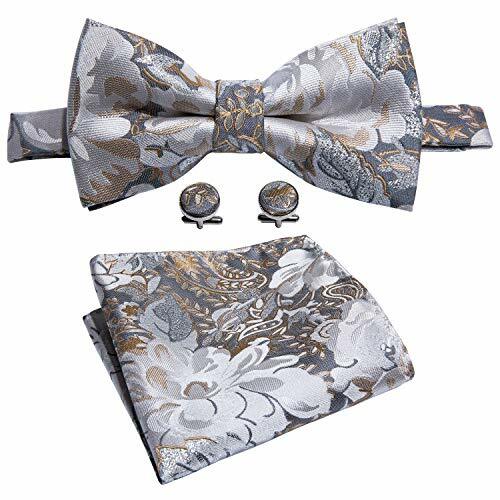 Bow Tie Floral Gray Tie Hanky Cufflinks Set Designer Wedding Tie Silver Fashion Party Prom by Barry.Wang at Mas Fashion. Hurry! Limited time offer. Offer valid only while supplies last.